Malwarebytes is an excellent anti-malware tool that can scan for and remove malware applications from Mac and Windows computers.Many users want to remove Malwarebytes from their system. Some may just need this extra disk space. Others, because they do not use this application and prefer different tools for protection against malware. If, for any reason, you want to uninstall Malwarebytes then you can uninstall Malwarebytes by using Malwarebytes Removal Tool. Click Yes at the Windows User Account Control prompt. The uninstallation process will begin. When the window displayed on the right is closed, the program is uninstalled. Restart your PC to complete the process. Close any applications you have open on your computer. 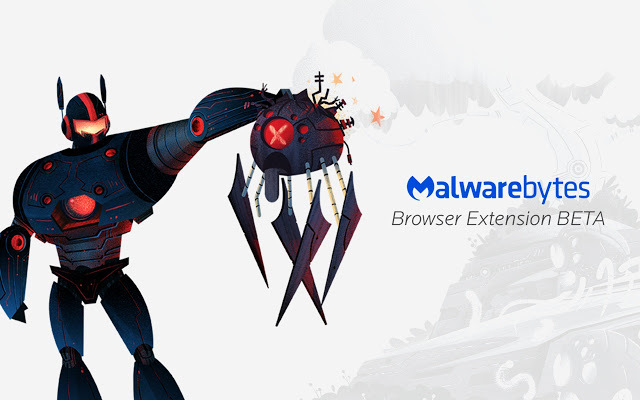 Download the Malwarebytes removal Tool. When prompted to save the file, click Yes or Save. Locate your Downloads folder and double-click to open it. If the user account control prompts you to allow changes to your computer, click Yes. 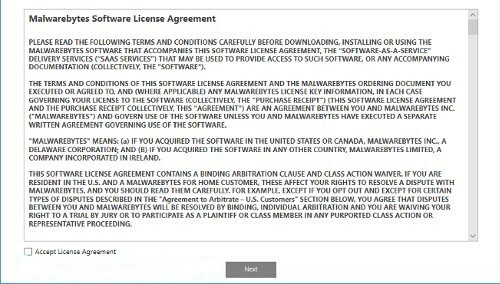 Click the Accept License Agreement box. Click the Next button. Click Advanced in the menu pane. Click the Yes button to continue. This process can take a few minutes. The removal Tool displays a message box asking you to restart the computer. Save all your work and click OK when you are ready to restart. 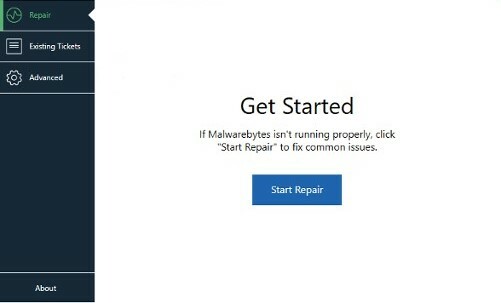 After rebooting, Malwarebytes removal Tool reopens and displays a message asking if you want to reinstall the latest version of Malwarebytes for Windows. Select Yes to install Malwarebytes. Malwarebytes removal Tool downloads and runs the installer for the latest version of Malwarebytes for Windows. The Malwarebytes dashboard opens after the installation is complete.